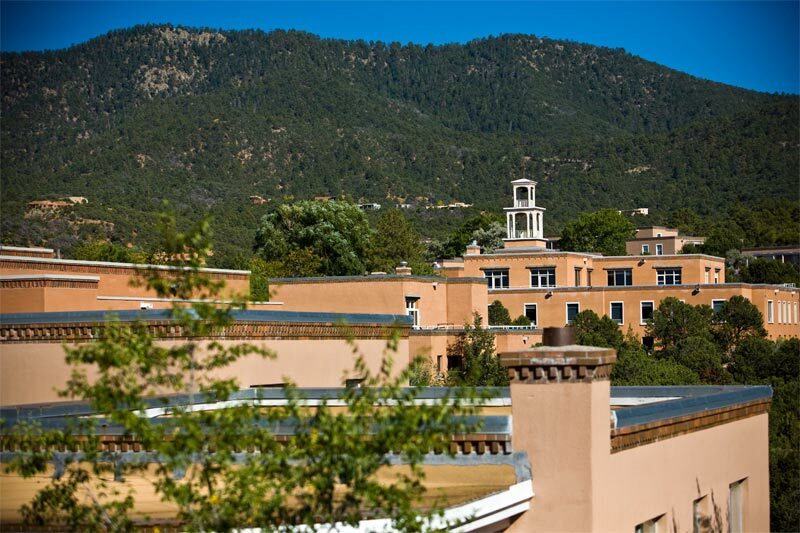 A private liberal arts college with campuses in New Mexico and Maryland announced Wednesday a $17,000 reduction in its annual tuition, while acknowledging that steady price increases in pursuit of prestige had inadvertently driven away many qualified students from families of moderate or modest economic means. Tuition for the coming academic year will drop to $35,000 at St. John’s College, which serves about 800 students in Santa Fe and Annapolis with a sacrosanct dedication to exploring the formative texts of Western civilization — from Euclid to Jane Austen — in small classroom settings. The Santa Fe campus also offers graduate studies in the Eastern classics. College President Mark Roosevelt described the price decrease as an honest recognition that students mostly do not pay the full price for tuition, and said the school was determined to become more affordable and accessible through need-based aid and philanthropic efforts. “We’re trying to reduce the number of people who deem us unaffordable from sticker price alone,” said Roosevelt, a former Massachusetts state legislator and superintendent of Pittsburgh Public Schools who led the re-opening of Antioch College in 2011. He said that St. John’s had made a “mistake” by participating in a trend among private U.S. colleges of adopting tuition increases over the past 20 years that vastly outpaced inflation. The college also will offer $10,000 grants to New Mexico residents who attend starting in the fall of 2019 — effectively lowering their maximum tuition to $25,000. Roosevelt said that it is “still a lot of money, but we hope it brings people into the conversation” about attending. The college estimates annual academic spending on each student at about $60,000 year, a reflection of the school’s commitment to seminar-style classes, with a student-to-faculty ration of seven-to-one and no adjunct professors to reduce expenses. On average, students pay about $18,000 a year, Roosevelt noted. To bridge that gap and lower tuition, the college hopes to raise $300 million and double its endowment by 2023. On Wednesday, it announced a $50 million pledge from wine magnate Warren Winiarski and wife, Barbara, through a family foundation to match new donations to St. John’s. The two are alumni of the college. Roosevelt said the new fundraising campaign is directed primarily at educational expenses and will not pay for any new stadiums, buildings or amenities — though it may pay some campus maintenance expenses.